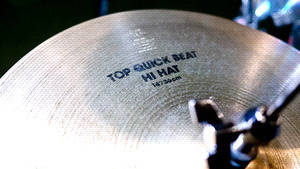 KitMonsters – Zildjian 14” Quick Beat Hi Hat. The music makers’ guide to making music. Short, tight, funky beat. Fast response. Four holes in bottom for fast air release. A classic over the years.